Earlier today (shortly after 4PM) I posted the following pic on Instagram and BaceFook. 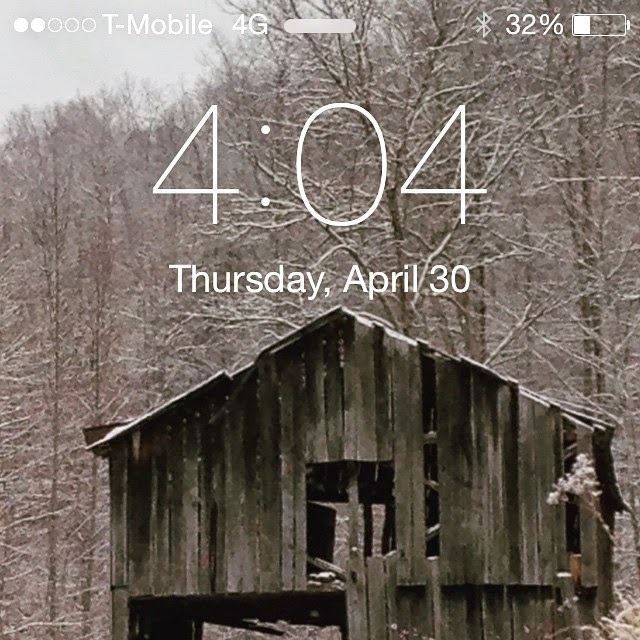 The caption on the pic was "Time not found" with the hashtag of #geekhumor. What's funny to me is that I only expected a handful of my geeky friends to like it. You see, when you browse on the interwebs and try to go to a URL (or web page) that isn't there, you get an HTTP://404 error and usually that means "Page Not Found." So...at 4:04, I took the pic. Only it was 4:04. Like the time that was supposed to be on my phone wasn't found. I'm not sure how many people got it. Then I started looking at some of my friends who clicked 'like' and started wondering why they did so (I would not have pegged some of them for geeks). So, maybe that's one of those things that is so commonplace now since so many people have such online/connected lives that it's moved from the realm of geek humor to mainstream reference. I'd like to think not, but it's possible. The other thing that's possible is that while I was posting the obvious, people that know me were picking up on the deeper meaning. Time. In modern society time is a commodity. Something that has to be cherished...guarded...not wasted. Spare minutes can be worth millions to the right person. But not on The Farm. On the farm, time is in its most pure state. That state where no timekeeping devices are needed, save the sun and moon. So time, as our society has come to know it, doesn't really exist on the farm. The time is not found. I guess that's one of the cool things about taking something creative and putting it out there for the world to see. As soon as you release it, you cease to have control over something. Oh sure...the worlds...the form...the product (be it book, movie, photographs) are of a set form. But the meaning. How someone sees it. How and in what way someone is moved by the piece--that is completely organic. It takes on a life of its own with each person that you expose to your creation. I don't suppose it's uncommon in the least for an artist to look at someone's reaction to their work and think, You are so NOT getting this. The irony is...this time I was the one over-simplifying something (that I still think is kind of funny), and people that see it are the ones essentially telling me Dude...there is so much more to this picture.